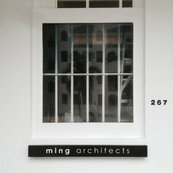 Cher Ming is an outstanding architect as he is able to think out of the box to come to beautiful and workable solutions. As our house consists of a long stretch of land, he is able to design it into 3 very functional and practical areas, with the middle courtyard linking with the living area and the dry kitchen/dining area, It also allows plenty of natural light to flow inside the house. His architectural skills are also well reflected in the choice of materials for the walls, flooring and ceiling. What is commendable is his openness and willingness to listen to client views and he is very responsive and attentive to little details. As he is also very patient and easy to work with, he is able to co-ordinate well with us, contractors and suppliers, thus enabling our house to be completed in a timely manner. All in all, we are very pleased with his services and our house.